Soprano saxophone players usually need to play higher tone than regular range. Most players play these as flageolets, but it needed high technique and the intonation is instable. To solve the problem, usually 'a high G key' helps to play. Then, Yamaha finally completed the YSS-875EX with the key and no change for functional mechanism of the original EX model. 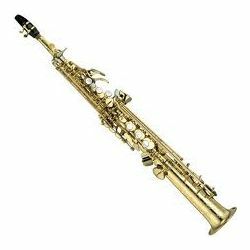 It is generally said that soprano saxophone with high G key has intonation concern. But studying about the intonation thoroughly, we realized stability of intonation.